The PS Wingfield Castle is a former Humber Estuary ferry, now preserved as a museum ship in Hartlepool, County Durham, England. 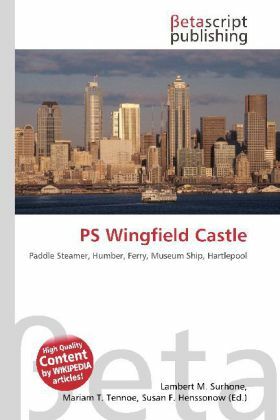 The Wingfield Castle was built William Gray & Company at Hartlepool, and launched in 1934, along with a sister ship, the Tattershall Castle. A third similar vessel, the Lincoln Castle (not built in Hartlepool), was launched in 1940. She is now preserved at the Museum of Hartlepool as a floating exhibit at Jackson Dock, as part of the visitor attraction known as "Hartlepool''s Maritime Experience", which also includes HMS Trincomalee.